To celebrate the start of another school year, Freeman Elementary School students last week took their annual trip to the Dewey Gunzelman Memorial Swimming Pool for some fun in the water. 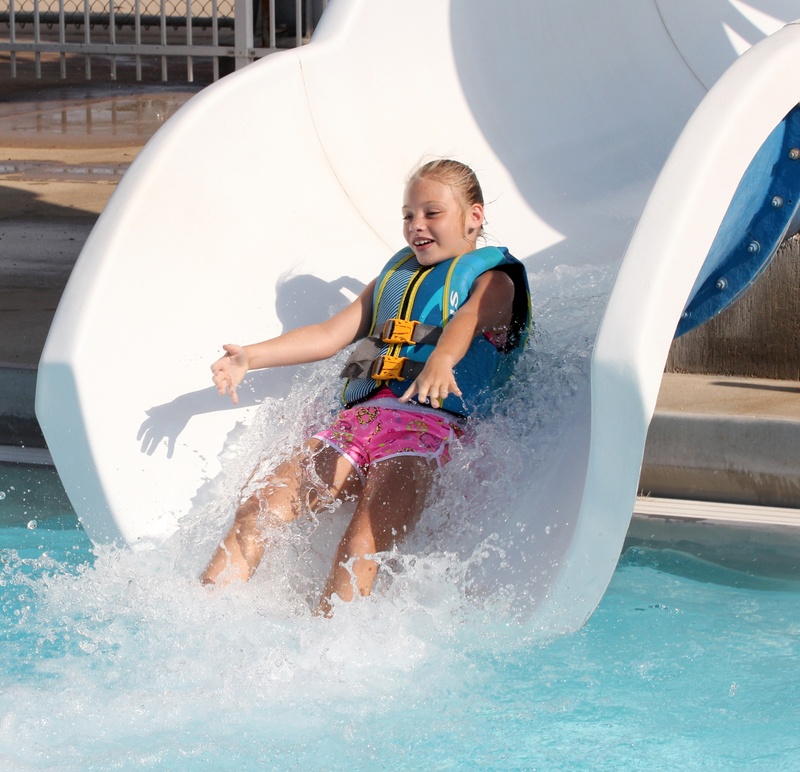 (Left) Taylor Hubbard, 4th grader, and (Right) Liberty Brooks, 3rd grader, made a big splash on the water slide. 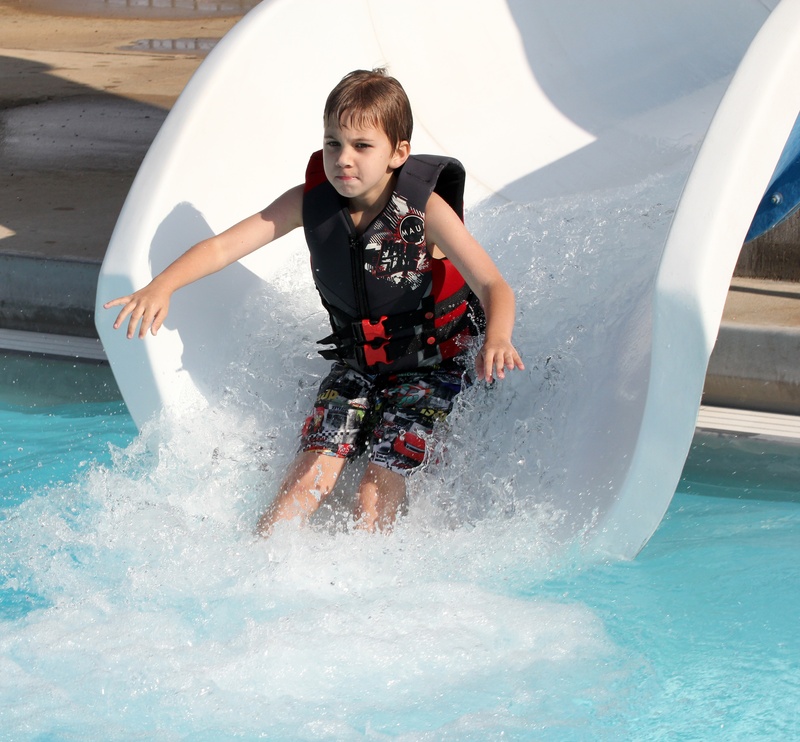 Each student’s swimming abilities are checked before entering the pool and some students are asked to wear a life vest flotation device to make their swimming experience safe. Students from Rex and Prairie Elementary Schools also brought students to the pool on other days.